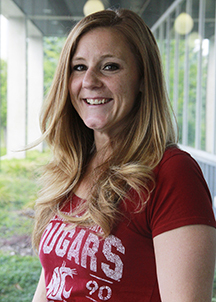 Andra Davis is a College of Nursing Assistant Professor in Vancouver, Washington. Her nursing expertise is in oncology nursing. She also spent several years as a hospice and palliative care nurse. Dr. Davis’ dissertation examined cancer-related pain in Hispanic/Latinos living in New Mexico. She had conducted qualitative and quantitative research related to cancer symptoms. 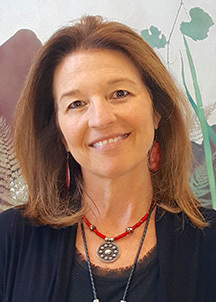 Her post-doctoral fellowship at UC Davis Betty Irene Moore School of Nursing focused on technology-enhanced delivery of care coordination during cancer chemotherapy treatment. Dr. Davis has taught pre-licensure, RN-BSN and Master’s students. In addition to facilitating development of professional nurses that are guided by critical thinking, evidence and compassionate care, she hopes to empower nurses to gain skills at maintaining a healthy life-long career through self-reflection, self-care and mindfulness in their work. Postdoctoral, Cancer Care Coordination, Betty Irene Moore School of Nursing, University of California Davis, Sacramento, CA. Bell, J., Kim, K., Davis, A., Reed, S., Bold, R., Cerrone, K., Altobello, A., Homchowdhury, J. & Joseph, J. (2014, June). Development and implementation of a novel personal health network technology for cancer care coordination. Poster presented at the Health Information and Technology Interest Group Meeting, San Diego, CA. Davis, A. (2015, April). Hispanic Latinos’ perspectives on cancer pain: Barriers to relief. Podium presentation at the Western Institute of Nursing: Equity and Access: Nursing Research, Practice, and Education, Albuquerque, NM. Davis, A., Reed, S., Kim, K., Bell, J., Whitney, R., Bold, R., Stacey, D. & Joseph, J. (2015, April). Training program to deliver nurse-led care coordination for chemotherapy patients. Podium presentation at the Western Institute of Nursing: Equity and Access: Nursing Research, Practice, and Education, Albuquerque, NM. Davis, A. (2009). Application of the NIH treatment fidelity guidelines to a tailored intervention trial. Podium presentation at the Western Institute of Nursing: Salt Lake City, UT. Davis, A. (2005). Characteristics of individuals experiencing cancer-related fatigue: A secondary analysis. Poster presentation at the Western Institute of Nursing: San Francisco, CA. Davis, A. (1991). Adverse effects and quality of life estimates in women receiving intravenous vs intraperitoneal chemotherapy for stage III ovarian cancer. (Master’s Thesis). University of Washington, Seattle, WA (unpublished). Lockhart, J., Galioto, M., Fulton ,J., George K., Van Deusen-Morrison, J. & Davis, A. (2013). A national survey of oncology content in prelicensure registered nurse programs. Journal of Nursing Education, 52(7), 383-390. Reed, S., Kim, K., Bell, J., Davis, A., Copenhaver, D., Whitney, R., Bold, R. & Joseph, J. (2015, April). Feasibility of a personal health network technology for cancer care coordination: Early findings on acceptance and usability. Podium presentation at the Western Institute of Nursing: Equity and Access: Nursing Research, Practice, and Education, Albuquerque, NM.